As the discussion on the future of higher education keeps on going, it is interesting to see how the presidents of colleges look upon these changes, particularly when looking at how top management looks at the pro's and con's of online learning. 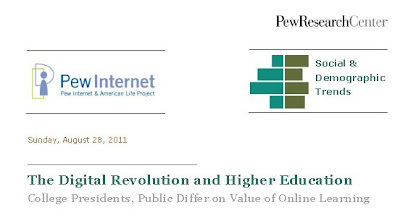 The Pew Research Center just published a 29-page document on the digital revolution and higher education, where they look at the difference in valuating online learning between presidents of both for-profit, private and public colleges/universities and the public at l. The document is a result of a survey conducted in spring 2011. One is a telephone survey of a nationally representative sample of 2,142 adults ages 18 and older. The other is an online survey, done in association with the Chronicle of Higher Education, among the presidents of 1,055 two-year and four-year private, public, and for-profit colleges and universities. 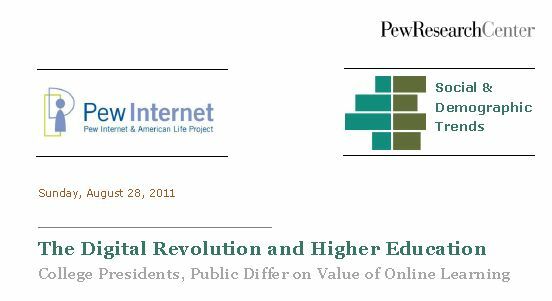 The report is quite interesting, as it clearly shows the difference of appreciation of online learning. While going through the report I could not but wonder why online learning still is not embraced by the larger public. This resistance seems to me to have parallels in the adoption of technology. Just look back at the discussions that started when the television started to enter the mainstream shops, or when the CD's started to rise in interest, let alone the first personal computers... But on the upside, one can see that an increasing number of college/university presidents is embracing online learning and is increasingly offering online learning at their institute. But what did surprise me was that although mobile devices are all around us, and we use it in many cases for contextualized, informal learning, most of the educational institutes don't yet have a clear guideline for these new learning devices. Which immediately suggests to me that the content resources will probably also not be designed taken into consideration mobile learning affordances. Or web-based affordances at that. For although courses are mentioned in the report, the quality of these online courses, and whether these courses are designed following online contemporary needs (peer interaction, scaffolding, designed for reconfiguration depending on the device which accesses the content...) is unclear. The Value of Online Learning. The public and college presidents differ over the educational value of online courses. Only 29% of the public says online courses offer an equal value compared with courses taken in a classroom. Half (51%) of the college presidents surveyed say online courses provide the same value. The Prevalence of Online Courses. More than three-quarters of college presidents (77%) report that their institutions now offer online courses. These courses are more prevalent in some sectors of higher education than in others. While 89% of four-year public colleges and universities offer online classes, just 60% of four-year private schools offer them. Online Students. Roughly one-in-four college graduates (23%) report that they have taken a class online. However, the share doubles to 46% among those who have graduated in the past ten years. Among all adults who have taken a class online, 39% say the format’s educational value is equal to that of a course taken in a classroom. The Future of Online Learning. College presidents predict substantial growth in online learning: 15% say most of their current undergraduate students have taken a class online, and 50% predict that 10 years from now most of their students will take classes online. Digital Textbooks.Nearly two-thirds of college presidents (62%) anticipate that 10 years from now, more than half of the textbooks used by their undergraduate students will be entirely digital. The Internet and Plagiarism. Most college presidents (55%) say that plagiarism in students’ papers has increased over the past 10 years. Among those who have seen an increase in plagiarism, 89% say computers and the internet have played a major role. Do Laptops and Smartphones Belong in the Classroom? More than half of recent college graduates (57%) say when they were in college they used a laptop, smartphone or tablet computer in class at least sometime. Most colleges and universities do not have institutional guidelines in place for the use of these devices in class. Some 41% of college presidents say students are allowed to use laptops or other portable devices during class; at 56% of colleges and universities it is up to the individual instructors. Only 2% of presidents say the use of these devices is prohibited. College Presidents and Technology. The leaders of the nation’s colleges and universities are a tech-savvy group. Nearly nine-in-ten (87%) use a smartphone daily, 83% use a desktop computer and 65% use a laptop. And they are ahead of the curve on some of the newer digital technologies: Fully half (49%) use a tablet computer such as an iPad at least occasionally, and 42% use an e-reader such as a Kindle or Nook. College Presidents and Social Networking. Roughly one-third of college presidents (32%) report that they use Facebook weekly or more often; 18% say they use Twitter at least occasionally. The past 5 months have been very exciting thanks to educational colleagues with an interest in mLearning. Without ever having met, and although we only started to exchange knowledge on mLearning from April 2011 onward, this encounter gave rise to several unusual academic collaborations: 2 accepted papers, 2 draft papers in the process of being written, and an opinion paper in the making. All of us are individual researchers, linked to different institutes that do not have any formal collaborations between us. Nevertheless, the energy and zest felt by all of us pushes us towards collaborative, open academic research actions. If informal knowledge exchange is at the core of the knowledge age, then were does informal academic collaboration stand? Collaborating across educational institutes is nothing strange, but writing academic papers in all openness still seems to be more of an exception. This is in strong discrepancy with the increasing knowledge that collaboration is a core strength of this knowledge era. If collaboration fits open learning, knowledge creation and peer-to-peer actions, it is but logical that academic collaboration will result in enhanced academic performance. Now I agree that there are many formal academic projects that stimulate collaborative research BUT that type of research is mostly closed to outside researchers, and it is limited to formal institutes. So I guess, my interest is in open academic collaboration across institutes and a collaboration that is open to all that want to join. Michael Sean Gallagher, one of the 7 academic collaborators has written an incredible insightful post on the subject. Michael has a wonderful literary pen even when he writes on academic topics. I simply jot my ideas down here, for they have been wondering around my head the last couple of days and I want to structure them a bit. This idea came to mind after what happened to some of us that have followed the MobiMOOC course during spring 2011. Nearing the end of MobiMOOC an open invitation was sent by myself to all MobiMOOC participants to see if anyone would be interested in writing a paper collaboratively. Anyone that wanted to could join, and the paper would be written in collaboration, adding all of the volunteering authors to the paper (or at least those that added to the creation of the paper). I did not think many people would be interested, but it turned out that 6 people reacted, resulting in a research group of 7 people living across the globe, willing to write. The way we 7 collaborate is nothing new, we use very commonly available tools: google docs, e-mail, track writing (with lots of commenting to increase understanding and though processes) and we work asynchronously building on each of our comments via iterative circles of rereading, commenting, rewriting.... Nevertheless, this simple drive of collaborative academic action seems to bring forward strong end results. In fact many of us, might be all of us, feel that this collaboration lifts our papers beyond the scope any single one of us could reach if we were to write individually. BUT, and here it becomes strange... if we look at the academic world, one author papers are seen as a more weighed, accredited, appreciated form of writing then collaborative papers. Strange, for this knowledge era clearly supports networking skills, collaboration (peer-to-peer learning to name but one), ... so how can we align this idea of collaboration with the notion that academic performance is at its best when put forward by one individual? I truly belief that collaborative academic effort should move beyond the individual, beyond the ego, and towards common enhancement of science. This idea of open research has been circling open science fora for a while, but it is still not very popular at this point in time. Why is that? Is it because of the fear that openness will lead to people running off with data or conclusions that you have been working a long time on to obtain. But then, is academic research not comparable to patents? When we publish data or conclusions in the open, would this publication not give us the intellectual property rights of those data or conclusions, keeping that research closely linked to the persona relevant to that particular research? Or am I too naive here? Is it personal pride, the drive for academic fame? 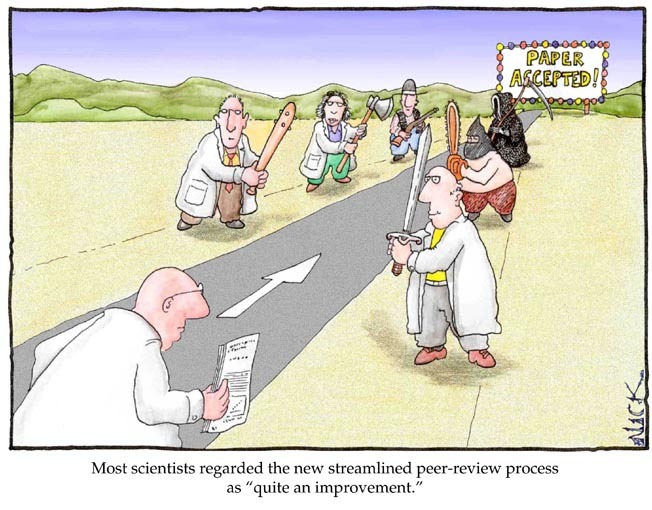 Or do researchers hesitate to collaborate informally, because we all have the urge to shine? And formal academic actions give us the best leg up for academic bliss? So maybe we want to be the sole researcher for a dedicated topic? Maybe we do strive to have our name on a billboard indicating that we are important in the academic world? In all honesty, I do feel that from time to time. I have the urge to be seen as 'important', but the only time this urge disappears is when I truly have done something, and not specifically when an audience is applauding the effort, but simply because I have undertaken an action and it made me feel good. So I think the urge to shine is only an indicator that I did not undertake enough action to satisfy my own soul that is eager for satisfying action. And in all honesty, when I was writing in this small, cross-globe group of educational researchers, I felt I really was adding something and in a way that felt good. For all of us wanting to increase our knowledge and get certified along the way, Anya Kamenetz has made it a bit simpler to build our own learning path. There is a free downloadable EduPunk guide to get cracking with your own learning and increase your knowledge. The guide has some really great pointers on how to design your learning path step-by-step and following your own interests. Anya Kamenetz is known as the author of DIY U:Edupunks, Edupreneurs and the Coming Transformation of Higher Education and Generation Debt: How our future was sold out for student loans, bad jobs, noBenefits, and tax cuts for rich geezers - and how to Fight Back. 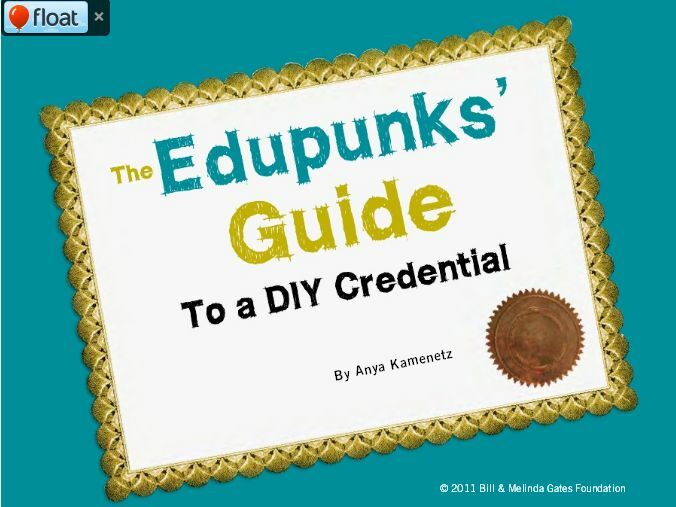 In the free EduPunks' guide to obtain DIY credentials, you will find great online resources to really dive into certification, job information, and jargon that comes with academic or professional certification by using the internet quite excessively. I like that idea of getting your shoulders behind your own education and moving towards your own interests (even if it demands for you to get a degree - oh dear!). No rest for the wicked! Mobile learning is still on the rise and there are still many areas that can be explored. If you have a wonderful idea for a mobile learning (mLearning) application, share it! The International Association for Mobile Learning (IAMLearn, www.iamlearn.org), in collaboration with Epic (www.epic.co.uk), is proud to announce the Mobile Learning Challenge. The Mobile Learning Challenge is searching for innovative and visionry solutions for learning using mobile technologies. So if you are a practitioner, a student, a young researcher or a visionary, feel free to contribute your inspiring and visionary concepts. Specific technical skills are not required for participating! What you need to provide: a structured, clear description of your idea in English. The winner of the Challenge will receive £1000 (one thousand GBP, or approx. 1600$, or approx. 1100 EUR - monetary rates willing). The winning solution will be presented to the mLearn 2011 conference audience either by the winner (if present at the conference) or by the President of IAmLearn. This prize is co-sponsored by IAmLearn and Epic. The runner-up will receive a prize of 5 years’ free membership of IAmLearn. Deadline for Submissions is Wednesday, 14 September 2011 24:00 GMT. How does mobile learning support educational needs or create a clear and innovative educational opportunity? The Mobile Learning Challenge is open to creative solutions for all kinds of learning, be it for schools, universities, in the work place, or in leisure time. A solution can be related to research, design, educational practice, or evaluation. It must not represent work that has already been done, but should focus on a problem or opportunity that has not yet been successfully addressed by mobile learning so far. Identify a learning or educational challenge that can be solved with mobile technologies. Briefly describe your mobile learning challenge in up to 20 words. Explain your mobile learning challenge in up to 200 words. Provide a solution to how this challenge can be solved. The solution can be a scenario description, a prototype design (mock-up), an interface walk through, a storyboard, a visionary essay, or a video. Your solution should be realistic and implementable within 6-18 months. This does not mean that you have to implement it in case of winning. The challenge is open to everybody; however, entrants must be members of IAmLearn on the date of submission. Submissions by individuals and small teams are possible although each prize is limited to one person. All submissions need to use English descriptions. The winner will be announced by the end of September. Common, get your idea out there! I will. Sometimes a project appears that is so inspiring you cannot but see the Light. The world is in turmoil, but all around the world small initiatives really make a difference. This time the Italian center in Turin, ITC-ILO comes up with a ready to use mobile toolkit for developing or rural regions. They have created a mobile toolkit written by the formidable Jennifer Parker which allows anyone to step up to the plate and launch their own mobile learning initiative. The 98 page toolkit manual was also the master thesis of Jennifer. In the manual you can choose out of 15 different methodologies where a mobile device can add value to the learning and training process. Feel free to contact Tom Wambeke in case you are interested to pilot some of these mobile learning methods. The nice thing about this toolkit is also that it will be used by MyCOOP trainers. The MyCOOP training package “How to set up and run agricultural cooperatives“ will certainly make a positive impact, and to be honest, I am in need of some positive world vibes. Below you will find the SCRIBD version of the toolkit (small screen, but you can open it to full screen button), and you can also download a version here. ITM's department of Public Health, more specifically the Unit of Health Policy and Financing Unit is looking for a knowledge management adviser with expertise in social media. Feel free to send your resume to the people mentioned below. Good luck! This unit is involved in a number of projects that involve an important part of social networking using notably social media and the internet. The specificity of those projects is that it involves professional health experts and researchers primarily based in low income countries. Hence their access to the internet often goes through intermittent low bandwidth connections. We believe tablets and smartphones, particularly android based, will keep growing in these specific niches. The communication in these communities happens mainly in English but some channels are bilingual, French and English. The Unit is looking for an adviser to help define the strategies, tools and methods that are advisable for their audience and objectives. The work will unfold in two phases. The first one should last one month. The second might take longer but should probably not exceed 5 month. (see deliverables). So what would be the assignment? Through interaction with the team, you are responsible for the designing and implementing of a dissemination strategy of the results from a consortium research project with 6 academic partners in Europe and Southern Africa. You perform an assessment and propose a strategy for the dissemination of our work and for the communication among our networks. You setup the networking tools required. You provide the required guidelines for the team to implement the strategy. d in particular regarding the European research project. Once this one has been approved by the Unit you set them up. A final report describing the tools set up, including Standard Operating Procedure for dummies to use the tool and technical guidance note for IT maintenance and update for each tool that is being used. For more information about the assignment contact Bruno Meessen. Applications with budget, timeline, CV and motivation letter should be received by e-mail to bmeessen@itg.be,with copy to dhercot@itg.be. A lot of us talk about the iPads and how to use them. David Parsons from the Massey University of Auckland, New Zealand has lined up the advantages and possible pitfalls for using iPad in higher education. Why is this a defining college initiative? Because the Massey uni suggests that ALL students buy an iPad2 would be made compulsory. As such David Parsons will have a pilot project looking at the iPad as an educational tool in high schools. He shared his views during a 18 minute interview, for those interested: feel free to listen to the mp3 here, or go to the link, if you consider using an iPad, this interview will immediately put you in the right direction (and give you solid arguments). Why use a tablet rather than a laptop? (To me it is the ubiquitous possibilities of tablets that make a difference). Tools to be used across subjects in classroom: tablet as a musical instrument, mobile chemistry tool, ... there are many apps that can be used and fit the school curriculum. There are also a wide range of resources that can be accessed across school boundaries (youtube, itunes...). Why do we buy into the idea of ONE product of a certain company? Why not through open source? David agrees that this is a very important debate. But, schools should not be telling which tablet to buy, but they should be the best. Which apps are available, which resources are accessible... depending on the school different tools or mobile devices can be suggested. David points towards the ease with which you can move across different resources, making it easier for teachers/users to get to the resources they want to. 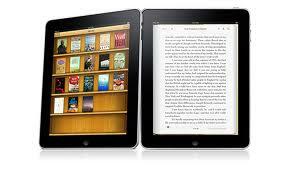 As such the iPad is much more user friendly than the other tablets out there. What do students need to be fully skilled in looking at mobile devices? Skills evolve constantly, in this case it is not about IT skills, but on getting to the best resources. Current tools are better than the tools that were available ten years ago. Schools need to show students to connect to the best tools. David says that we need to see that students will need to be creative, pro-active, critical... so schools have the duty to give its students these skills. BUT! what with the digital divide that can occur when students or their family need to buy their own mobile devices that have a turn-around that is massive? The government does not have the funds to provide nation wide devices. David does question who needs to pay.